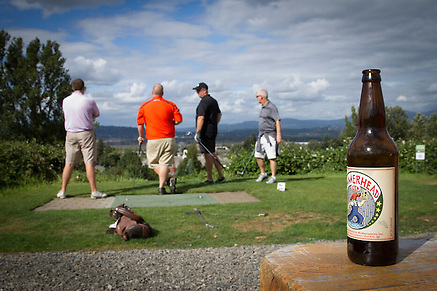 Tee times may be reserved one week in advance at the Distillery Clubhouse. Large groups of 32 or more players should book directly with the group sales department. 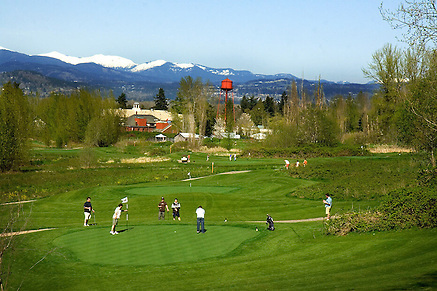 Or, if you're holding an event at Edgefield on the day of play, there is no minimum number of players required to book. Contact a sales coordinator at (503) 492-2777. Both courses are equally challenging, yet suitable for beginners. No expertise necessary! 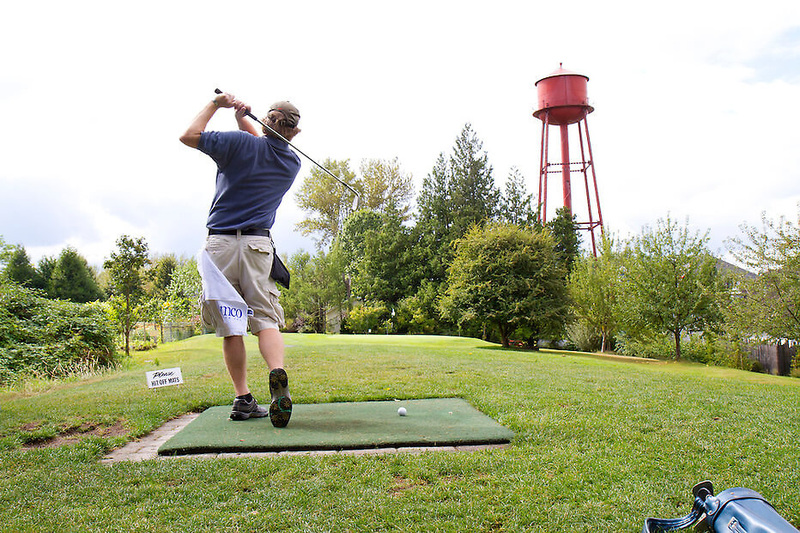 If you forget your pitching wedge and putter, we have plenty to rent for just $2 per club. We also offer golf balls for purchase ($1 each used balls), as players tend to lose one or two in the thick blackberry bushes that surround the links. 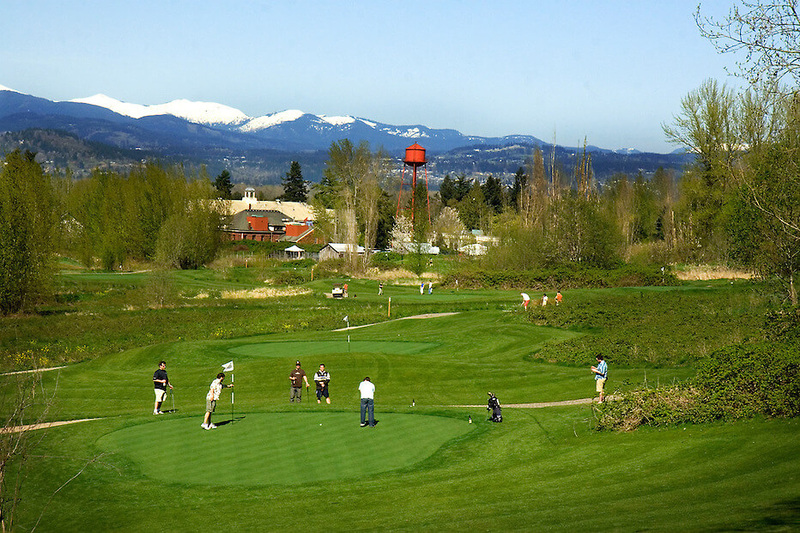 Please note that during warmer months, we often have pre-scheduled events and concerts that may determine which course you can and cannot play. Arrive at least ten minutes early. That way, you have time to organize your party, order drinks and so on. 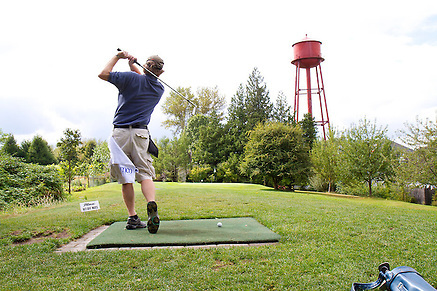 Golfers are responsible for any damage errant balls may do to parked cars, windows and so forth. During warmer months, a beverage cart will provide McMenamins beverages for purchase. And during cooler weather, not to fear; you're never far from a pint when you're at Edgefield. 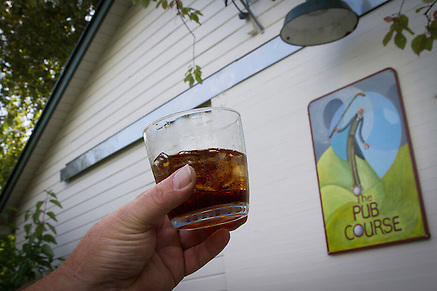 Feel free to start your round by ordering a beverage to go from the Distillery Bar.